One of the up sides of taking a long hiatus is that I now have a decent stockpile of images to pull from. Many don’t have counterparts, but as I wrote yesterday, I can live with that. Some days you’ll see a solo Sh*tty thing, and other days (like today) you’ll see a Pr*tty thing. I can’t even tell you how much I love this little toddler slide that lives in the outside play area at the local Y. And yet, I can tell you nothing about it. It has no manufacturer’s markings on it that I’ve found. No date. No place of origin. Nothing. So I’ve made up my mind that this is clearly the work of master architect Eero Saarinen. Until someone tells me otherwise. Which is to say, can anyone out there tell me otherwise? I’m dying to know! yay! you're back! what kept you away for so long!!! they use this slide in Gymboree I am guessing it's commercial, my boys love it! Erin, that is helpful intel! 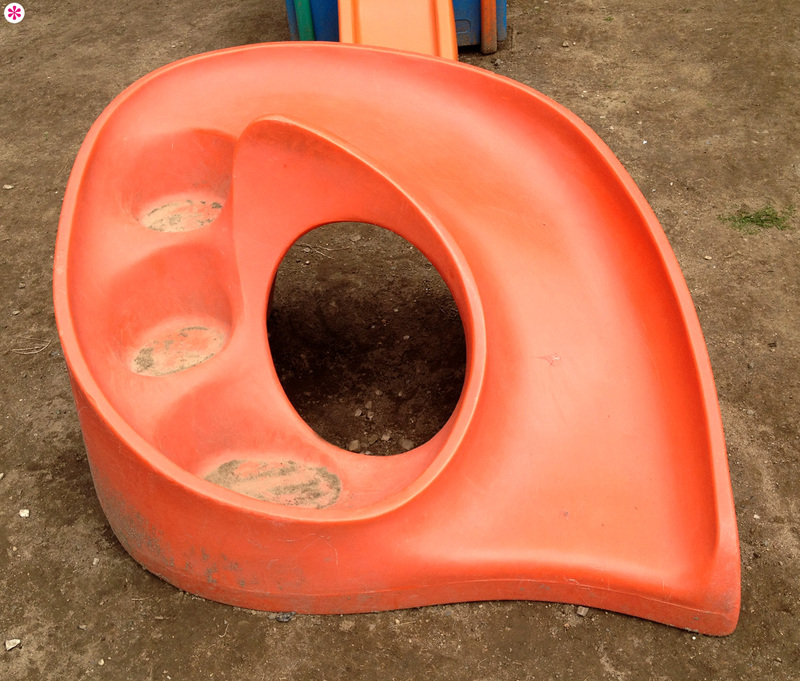 I googled "Gymboree slide" and there were quite a few images showing this exact slide, or sometimes a blue version, in use at a Gymboree. Time to send them an email.